For many clients, the most visible brand extension is vehicle design. 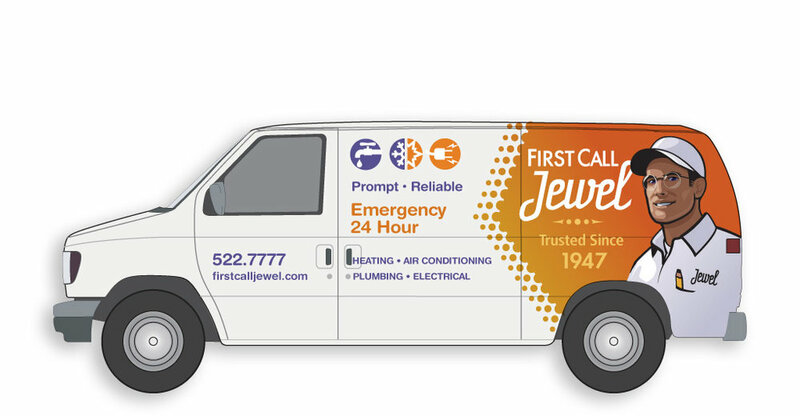 From van wraps to truck graphics, fleet design provides advertising opportunity and positions you company. We've helped some great clients design their vehicles, including trucks, vans and tractor trailer fleets. We design to business objectives, market opportunities, and budget, which often determines how far we push design. We provide a range of options which balance the objectives against production limitations, then work with our clients to identify the best course to pursue. After first narrowing options to a more tightly defined direction, we provide another series of concepts that explore variations on a theme. In this case, design decisions centered around a clean, corporate aesthetic, and budgetary considerations. After final approval, we typically oversee production, which includes working with sign shops to provide digital artwork. In fleets with a variety of vehicles, this means subtle design adjustments that keeps the look and feel consistent, even with changes in make and model.